One of the reasons it can be hard to commit to self-care is because it feels nebulous and poorly defined. What exactly is it? Let’s be crystal clear: self-care is nourishment for the head, the heart and the body. The mantra is: self-care is health care. To further clarify the concept, self-care is an action or skill that nourishes you in the moment AND the person you are becoming, your ‘future self’ if you like. One glass of wine savoured in the evening can constitute self-care, but if that one turns to two or more and a late night, your future self is hardly going to be thanking you for your choices the next day. This practical definition will help you to understand self-care better and make more life-giving choices. Another reason it can be hard to get clear on self-care is that what someone else finds nourishing may not float your boat. In fact, what you find nurturing in one moment might not be the tool or strategy you need in the next. We all have different needs, goals and natural preferences and this also changes over time. The solution here is to have a broad toolkit from which to draw, so there is always some kind of boost when you most need it. Neither do I. No one has spare time just waiting in the wings! 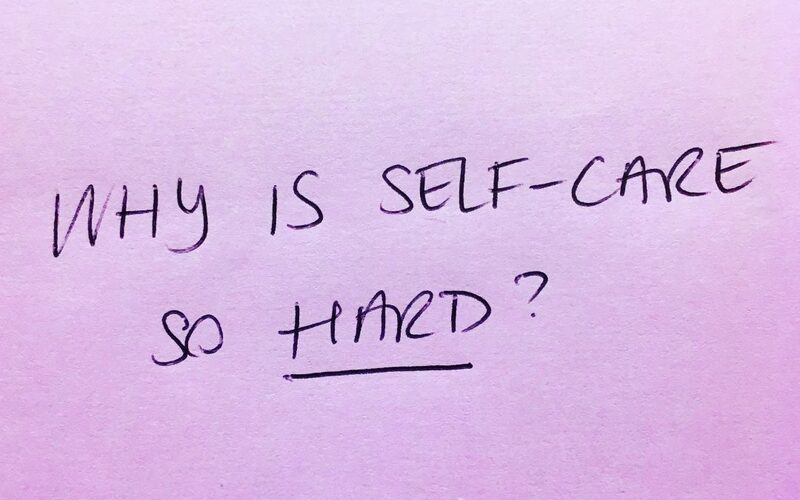 The key here is to know that you don’t need extra time for self-care. Many self-care tools don’t take any more time, they are things you are doing already or it’s a way of harnessing your mind while you are doing everyday things! For example, your morning shower. You can ruminate on your worries or to-do list, or you can take a meditative shower where you choose to focus on the cleansing properties of the water or the scent of the gel. It is in how you use your time and parcel it out. You’ll find two whole sections of my book dedicated mood boosters and coping tools – these are all skills and activities that don’t take any added time. I hear you. I have experienced energetic bankruptcy too. There are times when we feel absolutely floored by life – grief, loss, change, relationship breakdown, parenthood. No one is immune. If you feel like your nervous system is fried or you are burnt out, then you need a specialised self-care toolkit, one that is healing, soothing, restorative, so that it tops you up without any further depletion. Self-care strategies what come to the fore here are Nature, listening to music, eBooks, TED talks or podcasts, or working with the breath, meditation, visualisation, mantra and the relaxing yoga you will find in my book. There are many options to explore, they just need to be the appropriate strategies to meet you where you are at right now. Don’t be fooled into thinking that self-care requires an investment in expensive products or services. Self-care needn’t cost a penny. Gratitude, kindness and compassion cost nothing but are all potent mood boosters. You don’t need to join a gym, just take some shoulder rolls at your desk and savour a walk in Nature at lunch. Connect with a loved one, enjoy a hug, stroke the cat. All effective, free and easily accessible. Please, please let this one drop away. Well-nourished people are kinder, more compassionate, more resourceful and more resilient. This is what the whole world needs. When you commit to regular self-care you become a better version of yourself. Everyone your life touches benefits and this is the most sensational win win. Engage in self-care and you give yourself the best chance to be the person you aspire to be, to do the things you aspire to do. If guilt still pops up, use the mantra: ‘It’s not me first, it’s me as well’. Just take a moment to think of what self-care facilitates in your life… for me it’s to be the kind of mother, wife, daughter, sister, friend, neighbour and coach I want to be. See that version of you and take the action required to nourish this ‘best self’. Watch those dividends ripple out well beyond you. So these tips help us get clear on what self-care is but we still need to take further steps to make self-care happen. My best advice here is to use my Vitality Wheel framework set out in my book, ‘The Self-Care Revolution’ to write out your own self-care toolkit. We need it written down so there is a reminder when we’re feeling stressed out or too fatigued to think straight. Small incremental change works better than grand sweeping change and there needs to be balance in our self-care pursuits. The Vitality Wheel will help you carve that balance. With one micro moment of nourishment at a time, enjoy creating your future best self!